In order to receive group discounts you must pre-book your activities. Always Attend Pre-booked Activities At No Charge. Starting September 2018: Chaperone fees apply to all parents, guardians and additional guests. Activity, Ride & Food Discounts Are Available For School Groups, Daycares and Day Camps With A Group Size Of 15 Or More Paying Customers. Food group discounts are available Monday-Friday for school groups, daycares and day camps with 15 or more paying customers. – Chaperones do not have to pay to watch their group mini golf. – Chaperones wishing to play mini golf must pay applicable group discounted rates. Height & Weight Restrictions Apply To All Rides. – Chaperones do not have to pay to watch their group participate on the rides. – Chaperone fees are applicable to the Tea Cup Ride, Miner Mike Coaster Ride and Mini Himalaya. – Chaperone fees are not required for the Bee Jet or Caterpillar ride, when a chaperone is required. when you prebook one additional activity. – Teachers, EA and Support Staff are FREE. 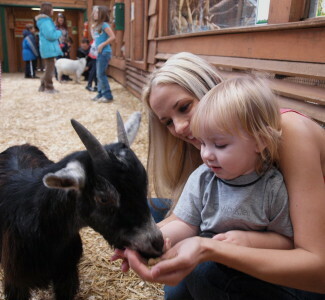 – Chaperones fees apply to the petting farm. – Valid Monday-Friday, Not when Public Zoo Shows are offered: weekends, selected holidays and selected school breaks. Available for all children under 46″ tall. * Must book one additional activity in order to receive this discounted rate. Ask about our $1.77+tax playground fee. * Applicable to groups booking one of our seasonal packages. 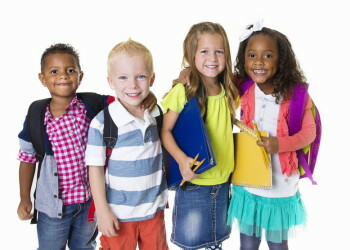 All children must be equal to or under 46″ tall. Socks must be worn at all times by all persons. Height restrictions apply to Kids Kingdom Playground. – Chaperones do not have to pay to watch their group participate in the playground activity. additional activities for 15 or more paying customers. Please note: tokens are non-refundable and have no cash value. 2L Jug – $5.00 Tax Inc.
2L Jug – $7.00 Tax Inc.
Not available on holidays, Christmas Break or March Break. Please inquire. Not available on holidays, Christmas Break or March Break. 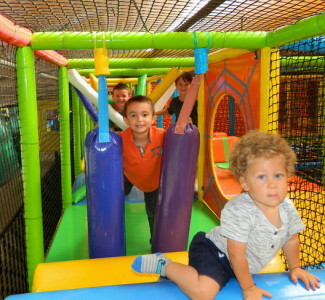 Add Kids Kingdom Playground activity to any one of our Seasonal Package deals for as low as $1.77+tax/child. – This is a 30-45 minute activity. 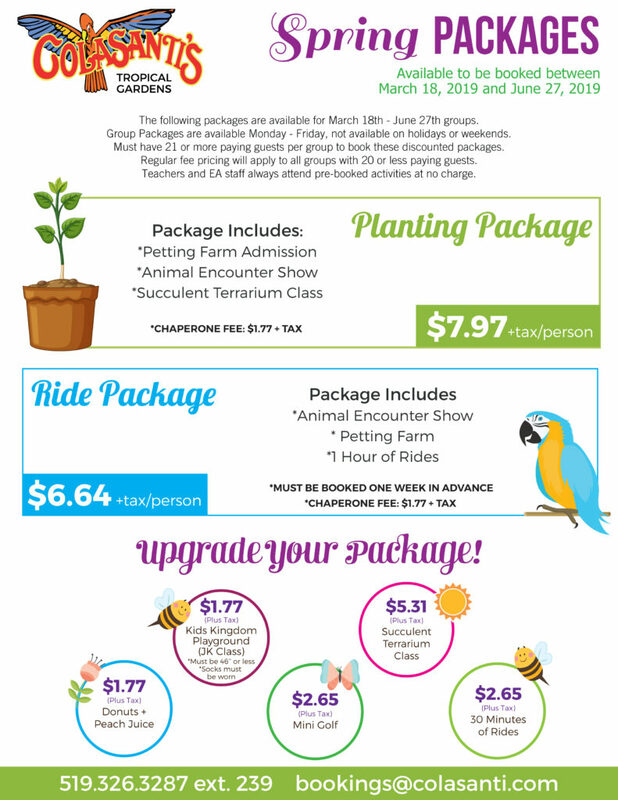 to receive information about upcoming seasonal packages, special activities and group pricing. Flat Fee Pricing Will Apply To Groups Of 20 Or Less Paying Customers. Individual Pricing Is Available For Groups Of 21 Or More Paying Customers. 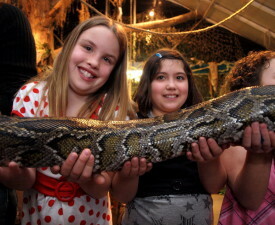 Colasanti’s will introduce children to some of our most popular and beloved animals. Animals could include parrots, hedgehog, snakes, caiman and tarantula. Up to 4 animals are used during each show. Learn about a variety of animal characteristics habitats, survival methods, eating habits and more. Class length is approx. 30-45 minutes. Teachers, EA Staff and Suppot Staff are FREE. Parents, guardians and additional guests are $3.98+tax/person. *** Receive FREE Zoo Admission when you book a private animal show. 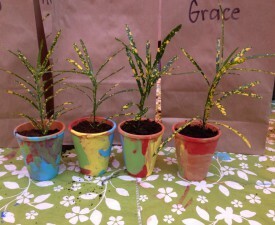 Students will use their creativity to paint a clay pot. They will learn the process of planting a poinsettia plant and how to care for their new plant. Key concepts vary according to age groups, but can include: germination, soil components and the importance of plants in our environment. All kits must be pre-booked in advance. Available Monday-Friday from mid November-December. Not available on holidays or during school breaks. 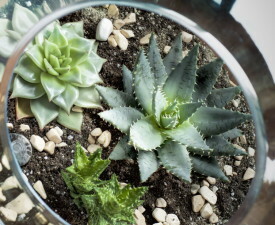 Students will create their own terrarium, complete with a glass bowl, succulents and soil layers. This class will teach your students about succulent plants and how they differ from tropical plants. Students will learn the importance of different base layers and the water cycle in a terrarium. Available March-August, Monday-Friday. Not available on holidays. Let us know what activities you are interested in and what questions we can answer for you. All group booking inquiries will be returned within 72 hours. Please note that Teachers, EA Staff and Support Staff always attend pre-booked activities for FREE. Please note that Chaperone fees apply to all group bookings. Pricing varies based on activities chosen. Please inquire at time of booking. Pricing varies based on activities chosen. Please inquire at time of booking. Do you have a copy or our Seasonal Packages? Would you like to be added to our 'group discounts' email newsletter list? We Look Forward To Assisting You With Planning Your Day.